Irmgard Seefried teamed up with Dietrich Fischer-Dieskau for a recording of the Italienisches Liederbuch that quickly became something of a classic and it is from this recording that the numbers she performs are taken for this issue. Seefried's tone was no longer quite as crystalline as it had been a few years earlier, yet she compensates with her trademark directness and immediacy of response, bringing each of these pungent vignettes to vivid life. 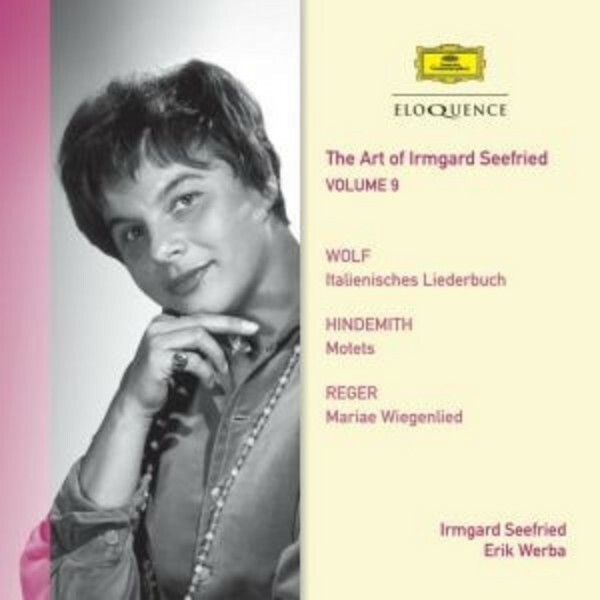 Ever-adventurous in her repertoire, Seefried made the first commercial recording, in 1952, of Paul Hindemith's Latin motets for soprano and piano of 1941 and 1944 � the beginning of a projected motet cycle spanning Christ's life that Hindemith would continue in the late 1950s. The disc concludes with one of her frequent encore pieces - the Reger Lullaby.